A sporting body wants volunteers to boycott London's 2012 Olympics in a row over the location of shooting events. 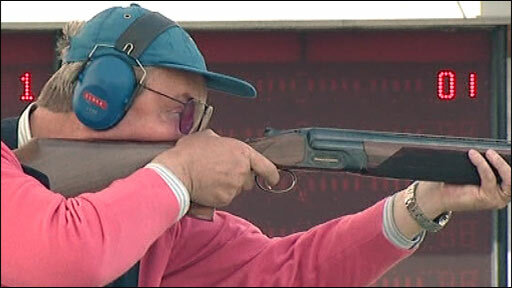 The Sportsman's Association wants them held at the sport's traditional home of Bisley, Surrey, instead of a temporary venue in Woolwich, south-east London. A spokesman said shooting fans will get "nothing in return" if the temporary venue is used, costing at least £30m. The London Organising Committee of the Olympic Games said Woolwich was chosen because it is near the Olympic Village. Bisley, considered the spiritual home of British shooting since the 1860s, was the venue for the 1908 Olympic competition. The 3,000-acre site was London 2012's original choice for shooting events until it became clear it needed a major upgrade. In March Olympics minister Tessa Jowell said the Royal Artillery Barracks in Woolwich would be used because they "allow us to deliver the compact Games we promised in 2005". The events will be held at a 7,500-seat structure that will be taken down after the Games have finished, with the cost ranging from an initial quote of £30m to the latest estimate of £42m. 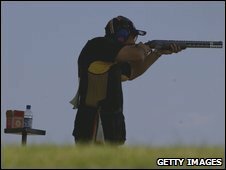 The Sportsman's Association said it will campaign to dissuade all UK shooting fans from volunteering to help run 2012 shooting events in a bid to persuade organisers to reverse their decision. Spokesman Albie Fox said: "We held a very successful Commonwealth Games here in 2002 and we have got some very good facilities out of it." He added: "Nobody is listening to us at the moment, we are being totally ignored and the bottom line we have got to bring home to them is we are wasting £30m of money in a credit crunch era." A spokeswoman for the London Organising Committee of the Olympic Games said the Royal Artillery Barracks had "historic links" to shooting. "The board ruled out the choice of Bisley because of the cost, operational complexity and risks associated with the proposals that could compromise the reputation of the Games," she said. "It would be a shame if specialist shooting volunteers chose not to volunteer to help at an iconic venue which will showcase shooting, bring the sport to a new audience, and help deliver an event of which everyone can be proud."